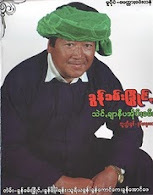 Taunggyi Time (ေတာင္ႀကီးတုိင္းမ္): Are radical Islamic ideas being encouraged in Myanmar? Irrawaddy stated that the fresh violence in Rakhine State will have serious implications for Myanmar and regional stability if it does not come to a stop immediately. Moreover, the international community must not stay passive, otherwise Myanmar's fragile democratic transition will face a grim setback. But what has really motivated this current phase of violence? In the article, it is suggested that it is not motivated by ethnic or religious factors. The article quoted Asean Secretary-General Surin Pitsuwan saying it is a political, democratic, human rights and constitutional issue. The article hinted that a group of people has been working to instigate the violence for several months, and blamed some democratic figures for failing to take immediate action. The article stated two theories: hardline factions in the ruling USDP were behind the violence in order to undermine the president's reform process, and the strife is intended to allow Myanmar's armed forces to return to the spotlight. What has been forgotten? Myanmar is in a strategic location. China is seeking a way to the Indian Ocean, while the US wants a partner to balance against China. What is more, has Myanmar attracted some radical Islamic ideas? Just before the riots in Rakhine State, Muslim insurgents were given a full autonomy opportunity in a milestone agreement with Manila over Mindanao in the Philippines. Muslim uprisings in Thailand and Bangladesh have also concurred. All these cannot be just coincidences. After the Arab Spring, Muslim radicals have had a chance to switch their strategies. Minn Ko Naing, a prominent 88-generation student and well-known democratic activist, said that they would probably be hunting for easier targets. They might want to take chances in weaker countries that are the focus of the US, like Myanmar. In fact, our country is barely free of dictatorship. Can I say the extremists are testing our strength when we are burdened with democratic reforms? A good political analyst cannot deny this possibility. The Rakhine riots in June occurred during the UN General Assembly. The riots got the attention of the international community. President Thein Sein's government, trying to get credible recognition from the global community, had to accept pressure from the Organisation of Islamic Conference, and allowed Tomas Quintana, the UN's special envoy to Myanmar, to visit the riot areas. But Myanmar people protested against the opening of OIC offices in the country, which was seen as a prelude to reignite the riots. The second round of riots coincides with the Asean Summit. Did Asean bring the issue to forefront? (There are some examples among Middle East countries that always point out the Israel-Palestine crisis just to cover other matters such as Iran's nuclear programme.) Asean cannot view the Rakhine issue as a regional problem. There are more important matters to be addressed. There is another thing to think about: riots recurring in Kyaukpyu, which is a vital part of the gas pipeline project scheduled to become operational in 2013. I cannot view these events as coincidences. Is a group of Muslim extremists igniting extremism to win sovereignty - as is the case of the Philippines? Most of the people in Myanmar do not accept Bengalis as citizens. However, that should not preclude giving them nationality. If they are fluent in Myanmar language, and are officially registered as citizens, they can get nationality. And others who have lived here for generations and have good language skills can be given secondary citizenship. Sending them to a third country rings hollow. They have to be integrated into the community. They must be persuaded to coexist with Rakhine residents as before. Who destroyed this coexistence? It needs to be considered thoroughly: Bengalis cannot be put into refugee camps, as we do not want to create religious extremists. It is almost impossible to send them back to their own country or to a third country. Separating them from other ethnic groups would cause problems at the time of implementing federal ideas. As secondary citizens, they cannot vote or sit in parliament. So what is needed is to integrate them into society. The economic and education sectors need to be improved. Problems can be reduced if the area is more developed and locals are educated. However, they will have to wait for at least two generations to get the vote. Still, Bengalis are a burden not only on the Rakhine State, but also on locals. Once they are officially registered as citizens, they can go freely throughout the country and enjoy the rights of a citizen. The events in Rakhine State are a national issue, not international. The problems should be solved by speeding up development projects, to bring peaceful solutions. The more developed the area is and the more the people are informed, the less likely such conflicts will emerge. I think our leaders should take advice from different perspectives. There are examples in history. The riots first happened in Bengali majority places in June. Ironically, Bengalis started the recent riots in Bengali minority places. Do they want to say that they are being oppressed by the Rakhine people? It hasn't been long time since the word "Rohingya" emerged, but they are now calling for recognition as in the Philippines. Such a demand is totally unacceptable. The Rohingya have no historical existence in Myanmar and history has proven so. This crisis highlights geo-politics and current political changes and circumstances in Myanmar. The stance of the western countries can also be doubted. Even the BBC described Rakhine State as Rohingya State. Therefore, just blaming the government is not right. We should have a deeper insight. This is not an issue caused by poor governance, as Aung San Suu Kyi, Myanmar's democracy icon, has pointed out. Thinking only about governance is not fair. Myanmar's geo-politics and political circumstances should be included. I prefer not to view these riots as a political and governmental scandal. This crisis cannot be solved by the government alone. People need to see who the puppet master is. Myanmar must not be dominated by the US, China or religious extremists.